Find more photos from the 4th Gala at WGEL Daily News: Light The Way Gala Auction Brings In $16,000+. WGEL Daily News: The Bond County Unit 2 Academic Foundation’s 4th Annual Light the Way Gala is coming up Saturday. Academic Foundation President Dr. Bill Beckert told WGEL the foundation exists to provide grants to teachers in all Unit 2 schools to fund classroom projects and to facilitate some scholarships in the spring. Four years ago the group created a new fundraising endeavor, the Light the Way Gala, featuring a dinner, silent and live auctions, live music, and more. All of the proceeds from that event benefit their mission. In addition to their usual grants, the Academic Foundation has partnered with the school district recently to provide a more substantial gift; partial funding for a STEM lab at Unit 2 High School in Greenville. STEM stands for Science, Technology, Engineering, and Math. Unit 2 Superintendent Wes Olson said the new lab provides a hands-on learning experience where students can create and collaborate. There are several technology hubs and will be a robotics component next year. The Light the Way Gala is Saturday, March 23 at Copper Dock Winery near Pocahontas. Doors open at 5 PM, dinner is served from 6:00 to 7:00 p.m. and a live auction follows. Music from the Chapman Brothers will close out the evening. There will be a silent auction and other activities as well. Tickets are $50 apiece or $75 per couple and can be purchased at Watson’s Health Mart Drug Store or the Bond County Unit 2 office. Click below to hear Ryan Mifflin’s full interview with Academic Foundation President Dr. Bill Beckert and Unit 2 Superintendent Wes Olson. The Bond County Unit 2 Academic Foundation recently awarded 28 teacher grants, totaling over $19,000, to fund classroom projects. Teachers are invited to apply for Academic Foundation grants each year, requesting money for projects and equipment purchases the Unit 2 School District is unable to fund through their budget. A committee reviews all applications and selects a number of projects to fund in the fall. Individual grants awarded this year ranged from $75 to $3,300 and will be used to fund classroom projects ranging from maps and books to computer equipment and a machine that reconstitutes clay for use by art students. Grants were awarded to teachers in all Unit 2 schools in Greenville, Pocahontas, and Sorento. A total of 35 grant requests were submitted this year. Individuals and organizations are invited to help fund additional teacher grants this school year. Unfunded grants will be listed online at www.bccu2af.org. To learn more, contact Academic Foundation President Don Dillon at 618-664-9479. In the spring, the Academic Foundation committed $10,000 to be used for a STEM lab at Bond County Unit 2 High School. STEM stands for Science, Technology, Engineering, and Math. $6,000 of the grant money distributed recently will go toward that project. The project selected to receive the inaugural grant is a Little Free Library Box, organized by a first grade class at Greenville Elementary School. The box will be displayed in the community and individuals will be welcome to borrow and leave books. Grants are funded by the Academic Foundation primarily through the group’s Annual Light the Way Gala. The 2019 event has been scheduled for Saturday, March 23 at Copper Dock Winery near Pocahontas and is sponsored in part by Bradford National Bank. A variety of additional sponsorships are available in connection with the event. Auction items are currently being collected for the gala. For more information on the Light the Way Gala, or to contribute an item for the auction, contact Academic Foundation Secretary Valerie Klenke at 618-367-5637. For more information, visit the Bond County Unit 2 Academic Foundation at www.bccu2af.org. Auction items for the upcoming gala will be posted on the website closer to the event and donors can make contributions online. Membership in the Academic Foundation is available beginning at the $25 giving level. 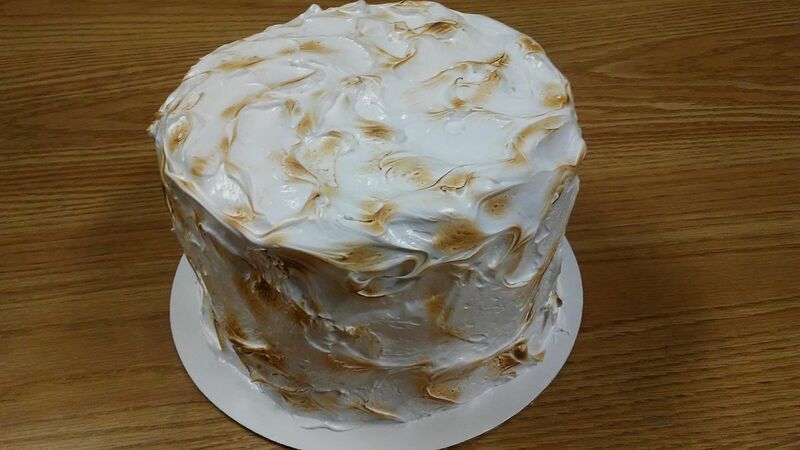 From JoEllen: “August Give Back Cake Auction is complete! Thank you to all who participated on Thursday, August 29!.... In 2018, the monthly Give Back Cake Auction has put $701 to use across many charitable organizations in Bond County. This month two cakes were auctioned off and all proceeds go to BCCU#2 Academic Foundation and Bond County Crisis Pregnancy Center. I don’t usually divulge any information about the cakes until the auction starts. But, I was so excited for these two new flavors I gave a little hint! Think of beautiful fall evenings around a toasty fire with a cup of a warm flavored drink. Is your mouth watering, yet? Visit JoMama’s Signature Sweets on Facebook for more information about her business and giving back. 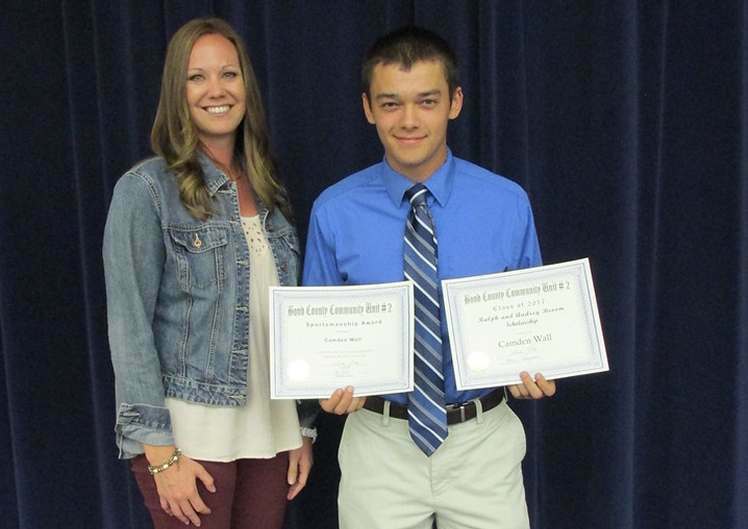 WGEL Daily News: The Bond County Unit 2 Academic Foundation senior awards program was Thursday night at the high school..... 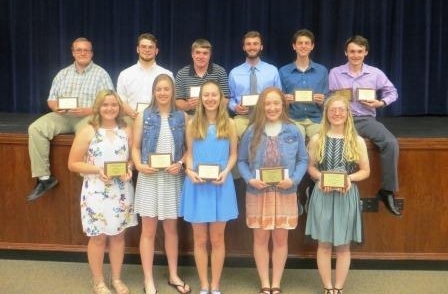 Receiving local scholarships were Tyler Bryant, Ralph and Audrey Broom Scholarship and Sarah Cunningham Memorial Scholarship; Daisy Kaplan, Jan Nevinger Memorial Scholarship and Sports Boosters Dotti Corn Memorial Scholarship; Mara Caldieraro, Academic Foundation Dotti Corn Scholarship and Bradford National Bank Scholarship; Kalie Meadows, Art Bollinger Scholarship and award and Kaskaskia College Board of Trustees Scholarship; Hannah Williams, Jim and Velma Keaster Scholarship, First National Bank Scholarship, Southwestern Electric Scholarship, Judy Ernst Scholarship and the Illinois Association of School Administrators Scholarship; Ryker Grove, Sports Boosters Dale Jurgena Memorial Scholarship and First National Bank Scholarship; Cody Gaffner, Bradford National Bank Scholarship; Justin Rieke, Southwestern Electric Scholarship; Joshua Brannon, Optimist General Scholarship; Zachary Bohannon, Bill Wise Optimist Scholarship; Emily Hogue, Unit 2 Character Education Scholarship; and Judy Ernst Scholarship; Elizabeth Blackmon, VFW Post 1377 Auxiliary Scholarship and 4-H Parr Scholarship; Chloe Schaufelberger, Class of 1967 Scholarship, and Joel Bemis, Kaskaskia College Board of Trustees Scholarship. See WGEL article for more awards and photos. Pictured below are Departmental Honors recipients. WGEL Daily News: The third annual Bond County Community Unit 2 Academic Foundation “Light The Way” Gala was held Saturday night at the Copper Dock Banquet Center near Pocahontas. The event is the foundation’s main fundraiser with proceeds being used to fund teacher grants for projects in all Unit 2 schools that may not otherwise be possible through the district’s budget. Unit 2 Superintendent Wes Olson gave the audience an example of items made possible by foundation grants. A 3-D printer was on display at the gala which had been provided to the Greenville Jr. High through a grant. Olson said students were able to learn beyond traditional books and have hands-on experiences thanks to the foundation. Olson also announced the foundation had committed $10,000 to be used for a STEM lab at Bond County Unit 2 High School. STEM stands for Science, Technology, Engineering, and Math. Don Dillon, president of the Academic Foundation, told WGEL the gala was another successful event. He said those in attendance were stakeholders and he appreciates the ownership that they have in the local schools. Organizers have announced that the silent and live auctions from Saturday’s Gala totaled over $16,000. That figure does not include ticket sales and other funds raised. The Greenville Advocate: The Bond County Community School District #2 monthly board meeting held Monday evening began with the recognition of Educational Excellence. Melissa Pierce was present to discuss the success of the Academic Foundation grants. Forty-nine requests for grants were submitted this year with a total of 40 being able to be funded... “We look forward to doing more in the future with the new funding model,” said Pierce. “The idea is to get more hands-on experiential things in the classroom for the kids that are supplemental to the curriculum,” she added. “The Academic Foundation has been a vital component of the education process here and has supported us in very tough times,” said Superintendent Dr. Wes Olson. “They have been dedicated in making sure our kids have opportunities and we appreciate that,” he added. 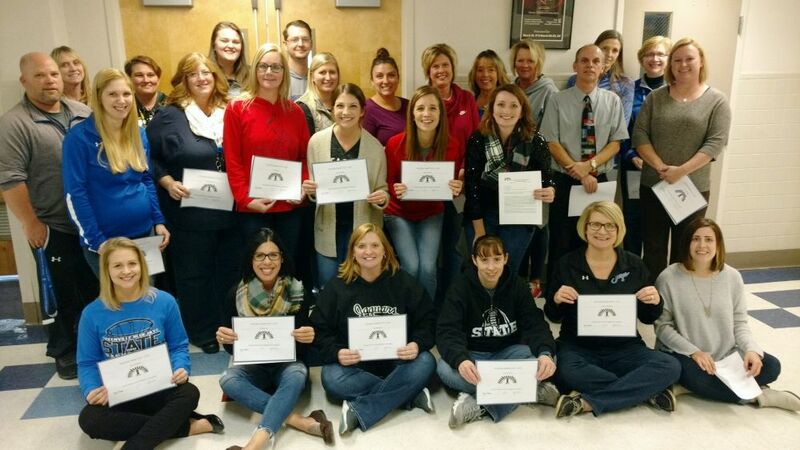 The Bond County Unit 2 Academic Foundation awarded 26 teacher grants, totaling over $12,000, on Friday, November 10, during a district staff assembly. Giving the grant program an additional boost was the ability of the Unit 2 School District to fund 14 projects, totaling nearly $10,000, for a combined 40 classroom projects, exceeding $22,000. The Academic Foundation may fund additional grants later in the current school year. Individual grants awarded ranged from $52 to over $1,100 and will be used to fund classroom projects ranging from world history activity sets, books, and art supplies to fitness sets, CSI kits, and infant care baby simulators. A total of 49 grant requests were submitted this year. Individuals and organizations are invited to help fund additional teacher grants this school year. To learn more, contact Academic Foundation President Don Dillon at 618-664-9479. Grants are funded by the Academic Foundation primarily through the group’s Annual Light the Way Gala. The 2018 event has been scheduled for Saturday, March 24 at Copper Dock Winery near Pocahontas and is sponsored by Bradford National Bank. A variety of additional sponsorships are available in connection with the event. Auction items are currently being collected for the gala. For more information on the Light the Way Gala, or to contribute an item for the auction, contact Academic Foundation Secretary Valerie Klenke at 618-367-5637. WGEL Daily News: Greenville High School and the Bond County Unit 2 Academic Foundation recently held its annual senior academic awards program.... Winning local scholarships [awarded by the Academic Foundation] were Camden Wall, the Ralph and Audrey Broom Scholarship; Samantha Siefken, the Sara Cunningham Memorial Scholarship; Kayla Dannaman, the Jan Nevinger Memorial Scholarship; Ryan Hutchinson, the Art Bollinger Scholarship; Caleb Campbell, the Lester Harnetiaux Memorial Scholarship; Hanna Gaffner, the Roger and Mabel Riedemann Scholarship; and Logan Niehaus, Dotti Corn Memorial Scholarship... Principal Wendy Porter said the senior students have earned over $1.5 million in scholarships [including the 7 AF scholarships and at least 15 additional scholarships] for their future education. 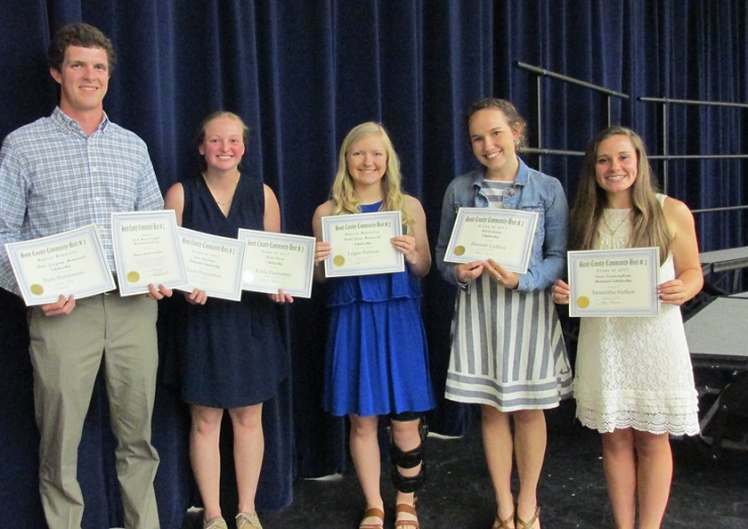 The Greenville Advocate (May 16, 2017): The following students received scholarships from the Bond County Academic Foundation, from left to right: Ryan Hutchinson, Kayla Dannaman, Logan Niehaus, Hannah Gaffner, and Samantha Siefken. Camden Wall [pictured with AF representative]. 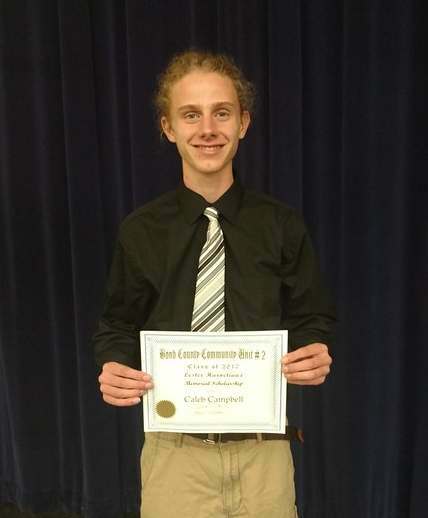 Caleb Campbell. See WGEL article and Advocate SmugMug for more photos of award/scholarship winners.] Photos by Emily Lucia, Advocate staff writer. WGEL Daily News: The Bond County Unit 2 Academic Foundation held their second annual Light the Way Gala earlier this spring. According to Academic Foundation Treasurer, Amanda Dussold, the event was a big success. Dussold said the gala generated just under $21,000 last year and just over $26,000 this year, for a 24% increase. Dussold and Foundation President Don Dillon said the foundation is putting an emphasis on funding the foundation’s endowment, with the goal of a self-sustaining source of teacher grant funds. Dussold and Dylan said naming opportunities are not just for scholarships…they also exist in regards to teacher grants. All teacher grants that are awarded are required to exceed twelve months in duration, ensuring that the funds and projects benefit several classes for years to come. WGEL Daily News: The second annual Bond County Community Unit 2 Academic Foundation “Light The Way” Gala was a big success Saturday night. A large crowd of Unit 2 supporters attended the event at the Copper Dock Winery, north of Pocahontas. The gala is designed to raise money to support teachers and students in the district. Don Dillon, president of the foundation, was extremely pleased with the generosity of Unit 2 residents.... 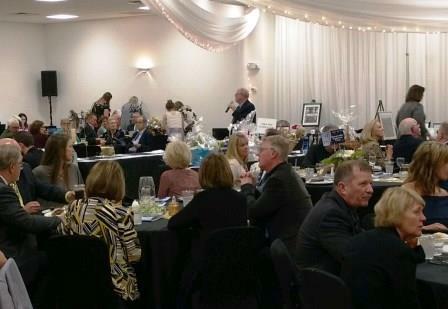 The auctions held during the gala raised over $16,000. Dillon said a complete financial report will be forthcoming. During the gala, a new logo was unveiled for the Academic Foundation. It was created by Emma Nord, an eighth grade student at Greenville Jr. High School. WGEL Daily News: The Bond County Unit #2 Academic Foundation will host its second annual Light the Way Gala on Saturday, March 25 at the Copper Dock Winery. Proceeds from the event will fund teacher grants for classroom projects in all Bond County Unit #2 schools. Click below to hear Ryan Mifflin’s full interview with Academic Foundation board members Laura Wall and Ashley Driemeyer about the upcoming gala. WGEL Daily News: The Bond County Unit 2 Academic Foundation awarded 51 teacher grants, totaling nearly $20,000, Friday, October 28 during a district staff assembly. Plus New Website Launched; Annual Gala Planned For March 25, 2017. The Greenville Advocate: ...Seven foundation board officers were re-elected to two-year terms... [another] was welcomed as a new board member. WGEL Daily News: The Bond County Unit 2 Academic Foundation is preparing to review teacher grant applications for the current school year. WGEL Daily News: Class of 2016 Scholarship winners. Students were awarded over $1.1 million. WGEL Daily News: The Bond County Unit 2 Academic Foundation hosted a cookout prior to the concert, raising funds to benefit a new scholarship in memory of Lester Harnetiaux. WGEL Daily News: The Bond County Unit 2 Academic Foundation is offering scholarships to graduating seniors of Unit 2 High School. WGEL Daily News: Between dinner and the auction, students from Greenville High School's production of 'Peter Pan' entertained the audience with dialog and a few musical selections. WGEL Daily News: The gala was a sold-out affair and included a large live and silent auction. WGEL Daily News: Doors open at 5:00 p.m. and dinner will be served at 6:00. Following the meal, a live auction will be held. WGEL Daily News: Checks in a total of $42,500 were presented to seven Greenville charitable groups. WGEL Daily News: The funds will be used by teachers in Greenville, Pocahontas, and Sorento to purchase items such as books, ipads, audio equipment, flash cards, projectors, printers, and rocket kits. Supporting Educational Opportunities is Tax Deductible! B.C.C.U. #2 Academic Foundation is a 501(c)(3) organization as determined by the IRS. Contributions are tax deductible. 2016 Bond County Community Unit #2 Academic Foundation. All rights reserved. Web Development & Management by rainofhearts .